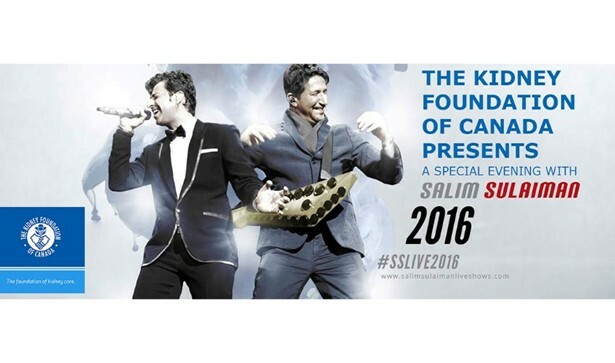 Immerse yourself in an amazing world music experience with Salim-Sulaiman. This very special benefit concert for The Kidney Foundation of Canada is a unique opportunity for the community to come together in support of kidney patients and their families. Join us for this concert or take part in our VIP reception. Salim and Sulaiman are world renowned musician brothers who, over the last decade, have taken the musical and entertainment worlds by storm. Their artistic portfolios spans across Bollywood, Hollywood, TV, advertising, and music production. Their warmth, energy and spirt will captivate you.